Monica Eckberg has made a significant impact in her community through giving time, energy and money to great local causes. She is especially passionate about childhood cancer research and her work to raise funds and awareness for childhood cancer research led to an invitation in 2014 to be a part of the Children’s Hospital’s Legacy Board of Advisors. This board is made up of top professionals from around the Twin Cities that give back by helping donors to leave a legacy to the Children’s Hospital of Minnesota. This is a great honor for Monica, as she is extremely passionate about the Children’s Hospital of Minnesota because of the care and research they provide for children in the Twin Cities and across the nation. Monica and her family are also strong supporters of the Minneapolis Crisis Nursery and regularly volunteer for their Cook for Kids program. They enjoy taking the time out of their busy lives to serve a good meal to the kids who are in this great program. 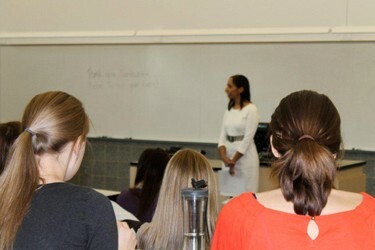 Within her practice, she encourages members of her team to dedicate their time to causes they are passionate about. Monica enthusiastically supports her clients, staff and friends in their volunteer efforts. She donates time and money with her team and clients to great causes such as: Susan G Colman, Leukemia & Lymphoma Society, MS Society, Big Brothers Big Sisters, and Courage Center, to name a few. 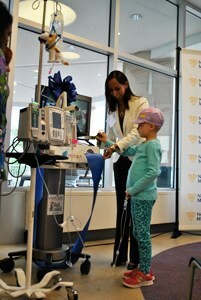 Monica at the ribbon cutting ceremony for the Starlight Fun Center at the Minneapolis Children’s Hospital. Moninca was a key member of the team that raised the $30,000 that Northwestern Mutual donated to hospitals across Minneapolis in the form of four Starlight Children’s Foundation Fun Centers™and three Starlight Tablets. 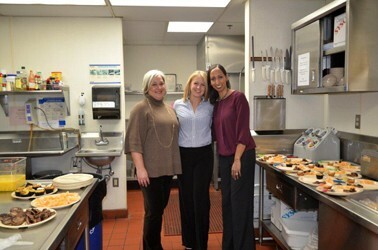 Monica, Kim, and Kirsten serving breakfast for Cook for Kids at the Crisis Nursery on a Tuesday morning. If you want to join our quarterly volunteer opportunity to serve lunch during the week, please contact Kirsten at kirsten.cornille@nm.com. 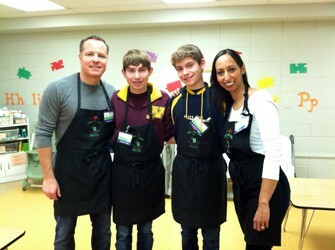 Monica, Darren, Cullen, and Kieran spending a Saturday afternoon serving lunch at Crisis Nursery for Cook for Kids! 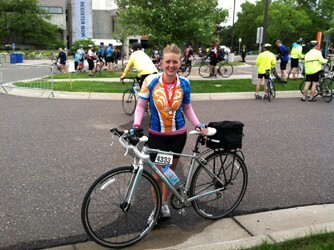 June 2013, Kirsten completing her second consecutive MS150. The MS150 Rides in 2013 raised over $3 million for the National MS Society.